Les Monstres des Cathedrales No. 5, Von Kluck, postcard (front). 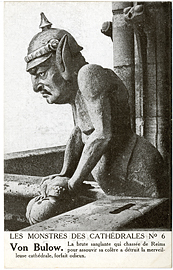 Les Monstres des Cathedrales No. 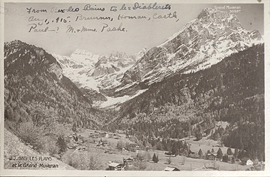 6, Von Bulow, postcard (back). 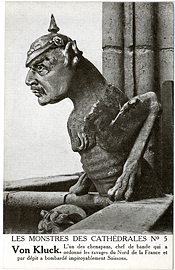 Les Monstres des Cathedrales No. 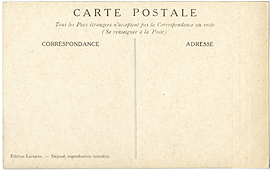 6, Von Bulow, postcard (front). Les Plans and the Grand Muveran, postcard. 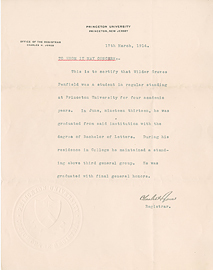 Letter certifying Wilder Penfield's attendance and degree completion at Princeton University, March 17, 1914. 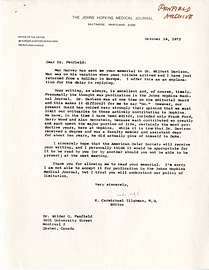 Letter from A.J. 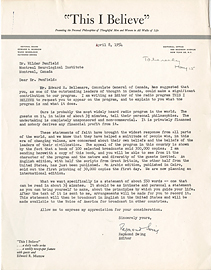 Fairbanks to Sir William Osler, March 28, 1916. 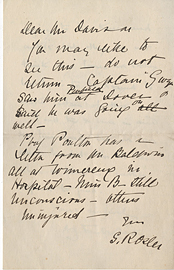 Letter from Carroll to Francis Edward Drake, Mar. 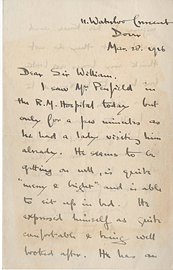 27, 1916. 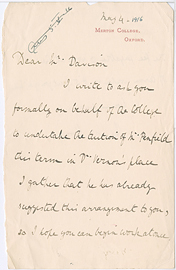 Letter from Lady Grace Revere Osler to Wilburt Cornell Davison. 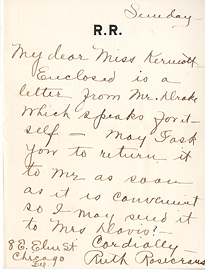 Letter from Ruth Rosecrans to Helen Kermott Penfield. 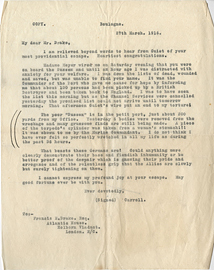 Letter from W.W. How to W. Davison, May 4, 1916. 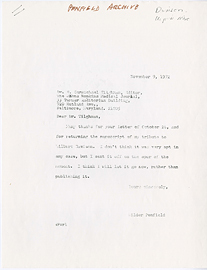 Letter from Ward Wheelock to Wilder Penfield, 8 Oct. 1954. 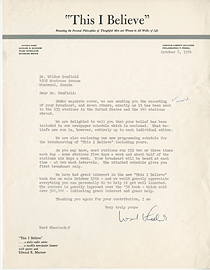 Letter from Wilder Graves Penfield to R. Carmichael Tilghman, November 9, 1972. 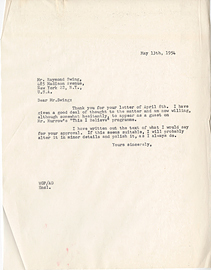 Letter from Wilder Penfield to Raymond Swing, 13 May 1954.